Is a Facebook Pay-Per-Click (PPC) Campaign Worth It in 2019? Social media is a powerful marketing tool to reach your audience and increase brand awareness. However, in recent years, the space has become much more competitive for brands and businesses of all sizes. For this reason, marketers have had to turn to paid options to reach their buyer personas. Facebook pay-per-click (PPC), more popularly known as Facebook Advertising is currently one of the top platforms businesses look to up their game on social. Because it can be a big investment, however, many people want to be sure they’re not wasting their budget. So, is it worth it for your business to invest in a Facebook pay-per-click campaign? Let’s start from the top. “Pay-Per-Click” or PPC is a form of internet advertising where a company pays a platform only when the ad is clicked. 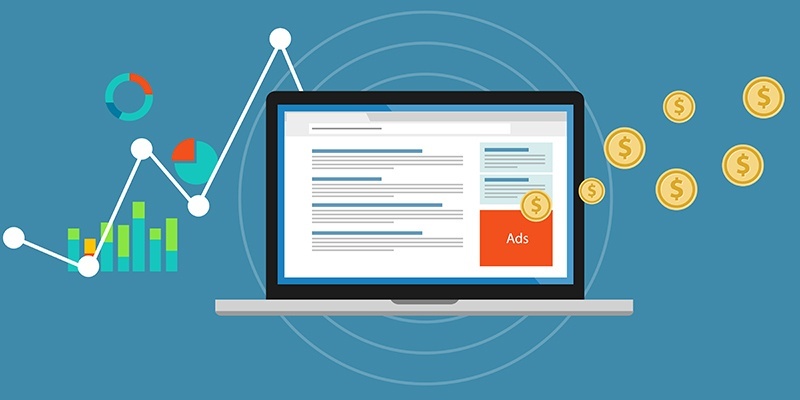 PPC advertising has rapidly increased in popularity in the digital marketing industry as it enables people to create highly-targeted ads and generate tangible analytics to help marketers understand how audiences are engaging with the content. There are many platforms that offer PPC advertising, but the two biggest players in the market space are currently Google AdWords and Facebook Advertising. At a base level, they function pretty similarly: Based on the audience or keyword you select, you pay X amount for each time your ad is clicked. The Cost-Per-Click, or CPC, is determined by how many people you can reach, and how competitive that audience is -- but Facebook’s is obviously catered to the Facebook audience. Facebook allows you to create your own PPC ads within the Facebook Ads Manager. These ads can be standard photo, video ads, or carousel ads (advertising many different links within the same ad). Once created, the ads can be used in a variety of spots on Facebook, including the sidebar, desktop or mobile newsfeed, and audience network. They can also be displayed on your audience’s Instagram feed, as Facebook owns this platform as well. First, you select an Objective - Depending on your business goals and what stage of the funnel you’re trying to target, Facebook offers several different marketing objectives based on the three stages of the buyer’s journey. Detailed Targeting: Demographics, Interests, Behaviors. Target by Connections: People that like your Facebook page, friends of people that like your Facebook page, people that have visited your website, friends of people that have visited your website. Then, comes placement - Where do you want your ads displayed? If you’re starting out, recommended keeping “automatic placements” on here so you can measure which is most effective. Lastly, there’s budget & schedule - Choose how much you’d like to spend on your ad (either per day or one set budget for the lifetime of your ad) and decide how long you’d like them to run for. You can learn more about this in detail here. As stated before, many platforms offer a form of PPC advertising. While the best platform to use is largely dependent on your company's buyer persona, Facebook’s Advertising platform has several key features that give it a competitive advantage. Facebook has over 2 billion users worldwide, and 1.37 of these users visit the website on a daily basis. Data also has found that people are spending more time on Facebook per session compared to other popular social platforms. In other words - there’s a good chance your buyer personas are hanging out here. Not only that, but the engagement rates of the platform increase the likelihood of them clicking your ad. For marketers, this presents a huge opportunity to reach a large group of people that might not have found your business otherwise. Next, to its large audience, another main advantage of Facebook PPC is the ability to create highly-targeted audiences. Think about it; between our profiles, the things we “like”, and the things we share, we tell Facebook so much information about ourselves. Knowing all this information, Facebook lets advertisers narrow down an audience by basic targeting options like location, age, and gender and detailed targeting like interests, behaviors, and connections, marketers can target multiple different personas at different stages in the funnel. You can also use retargeting campaigns, where you target people who have visited your website, or even a specific page on your website within a specific timeframe. This serves as a great way to remind people about the value your product or service, and increases the chances they’ll return to your website. Reach: The number of people saw your ad. Impressions: The number of times your ad was seen. CPC: Based on the number of clicks your ad received divided by the impression your ad got, you can view your cost per click directly within the Facebook Ad’s portal. CTR: How many people have seen the ad vs. how many people clicked on it. Engagement Metrics: View how many likes, reactions, and comments your ad is receiving. All of these metrics and more are valuable to help marketers determine what worked in their campaigns, what didn’t, and how to adapt their strategy moving forward. A common problem with paid media is that consumers have learned to tune out content where they feel like they’re being sold to. This phenomenon is often called “ad blindness” Because Facebook is a very visual platform, it becomes easier to combat this by creating attention-grabbing ads. Facebook allows you to use video, graphics, and even multi-frame carousels to capture your audience’s attention. Many other platforms limit you to just text or a tiny image. As Facebook continues to update its algorithms to place the right ad in front of the right person, at the right time, it’s no surprise that Facebook ads are proven to have an incredible ROI. Facebook ads have been shown to have a conversion rate of 9.21% across all industries. While this metric rises and falls based on your specific industry and targeted audience, it shows that advertisements with this platform effectively engage users with your audience. In fact, when comparing Facebook to other paid social platforms, it has shown to be most effective for paid media campaigns, with Twitter, LinkedIn, and YouTube falling just behind it. So, Is Facebook PPC Worth It? B2B or B2C, if your audience is active on Facebook, advertising on this platform will probably be a good investment. In fact, with the organic reach potential declining, it might be the only way to reach your buyer personas on the platform. In case you’re not familiar, Facebook regularly updates their algorithms in an effort to show users content they’re more likely to engage with. This change, coupled with the platform becoming more competitive for businesses, has caused organic reach of pages to decline. So, if you once saw a number of leads come through Facebook posting alone, that approach might not be as successful as it once was. If your audience is not active on Facebook, you may be better off looking elsewhere. Even with industry benchmarks on your side, the only true way to determine if Facebook PPC is worth it for your business is by testing it out and measuring the ROI of your efforts. Fortunately, Facebook Ads are relatively cheap compared to other paid media options, so by creating a few test campaigns, you’ll be able to determine if this is something worth pursuing, or if it’s not right for your business. Measuring the ROI of your Facebook ads is largely dependent on the objective of your ads you selected in the beginning. Traffic - Did the ads increase traffic to your website? Lead Generation - Did the traffic that landed on your website convert on an offer? If this is the case, it means you’re targeting the right people with your ads. Sales - Did those leads that converted on your website end up becoming customers? Cost Per Click - If you determined the following results, look and see how much you spent on generating each click to your website. Click Through Rate - As stated previously, this takes into account the number of clicks vs. the impressions your ad got. This will help you determine how many opportunities you had to capture users vs. how many you actually did. Cost Per Action - This is slightly different than Cost Per Click, as it measures the cost of the desired action you wanted your personas to take, like app downloads, conversions etc. Look at how much you spent to generate this action across the course of your campaign. All in all, Facebook PPC has capabilities to really help marketers step up their campaigns and drive better results. To determine if its worth it for your business, it’s important to look at industry benchmarks, your budget, your goal, and most importantly your audience. If your audience isn’t already frequenting Facebook, then there’s no point spending on a platform where your content will not get seen, but if it is experiment! Facebook regularly sends out $50 vouchers to owners of pages via email. Keep an eye out for them.